Did you know that San Juan del Sur Day School is located on a cloud farm? Finca las Nubes, as it’s aptly named in Spanish, is located a mere two kilometers from the beach and the heart of town. Yet, just this short distance from the hustle and bustle of our small fishing village allows for expansive views of the Pacific, Volcanoes Maderas and Concepción, Lake Nicaragua and beyond. The peacefulness that comes with living “in the clouds” also makes the school campus and surrounding homes a welcoming abode for much of the local fauna. Thanks to their sustainable building practices and reforestation efforts, Finca las Nubes has protected habitats for a multitude of animals, creating a strong co-existence between humans and nature. The Howler Monkey is a favorite and common sighting at Finca las Nubes, particularly during the morning bus ride up the hill. 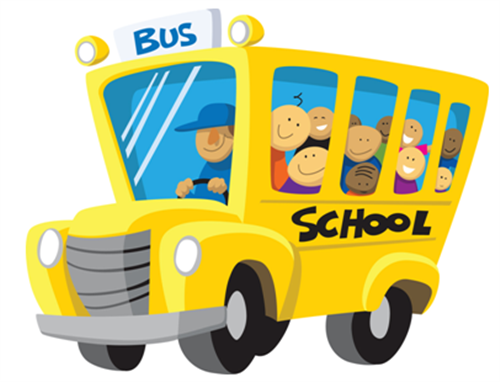 It is not uncommon for a rendition of “The Wheels on the Bus” to be interrupted by exclamations of “monkey, monkey, I see monkeys!” If lucky, you might even spot a white faced or spider monkey, too. Particularly fascinating to students and teachers alike are the Sloths, who while seemingly unhurried (in Spanish, they are called “perezosos,” which translates to “lazy” in English), they manage to appear in different trees at each sighting. An armadillo made a surprise appearance at school last October. Of the twenty varieties of armadillos, all but one live in Latin America. Armadillo is a Spanish word meaning “little armored one” and refers to the bony plates that cover the back, head, legs, and tail of most of these creatures. Armadillos are the only living mammals that wear such shells. Kinkajous, native to Central and South America, have found a comfortable home in the tree canopy of Finca las Nubes. They can be hard to spot, as they are nocturnal and prefer to roam at night. Contributing to the symphony of sounds at Finca las Nubes are the plethora of birds – glance up into the trees and you can spot blue jays, yellow-bellied kiskadees, Nicaragua’s national bird – the turquoise-browed motmot (known here as the guardabarranco), parrots, toucans, hummingbirds, wood peckers, oropendulas, and many, many more! You’ve got to be quick and highly observant to catch a glimpse of iguanas and lizards, as they are swift moving and blend easily. You’ll have more luck spotting the geckos, which are predictably found near lit lights, patiently awaiting their next meal of bugs. Living amongst and respecting the local fauna that long pre-dates San Juan del Sur Day School provides wonderful lessons for our students. They learn to respect animal boundaries and habitats. Children learn that animals have their own unique place and purpose in the world. A child’s self-esteem can thrive outdoors because nature doesn’t judge people. To observe nature requires patience and quiet watchfulness, a trait that can help children to thrive into adulthood. And learning about animals in their natural setting exposes students to things that are alive and growing and promotes curiosity and exploration. space for the whole week or a daily drop-in. From December 18 – 22 camp will offer Winter World Festivals on San Juan del Sur Day School campus. Stay tuned for spring and summer themes! 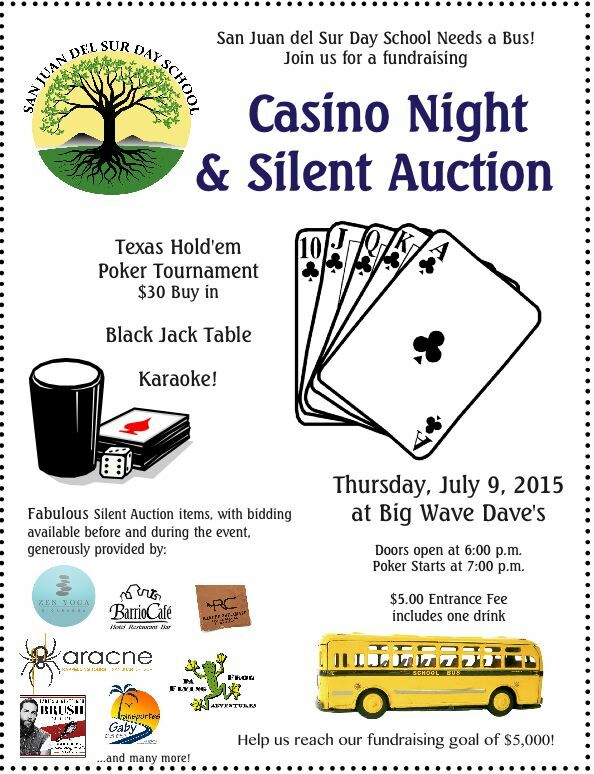 Click here to learn more or contact Mara and Katie at sjdscamp@gmail.com to register. 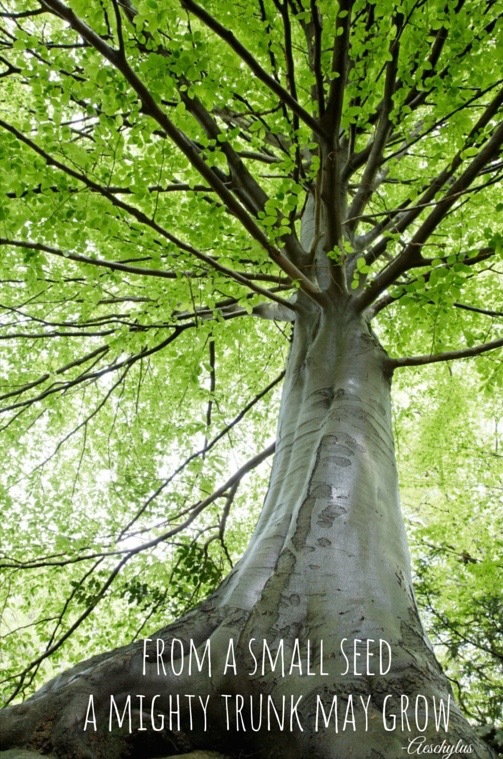 There is no better metaphor for the growth of a school than the planting of a tree. 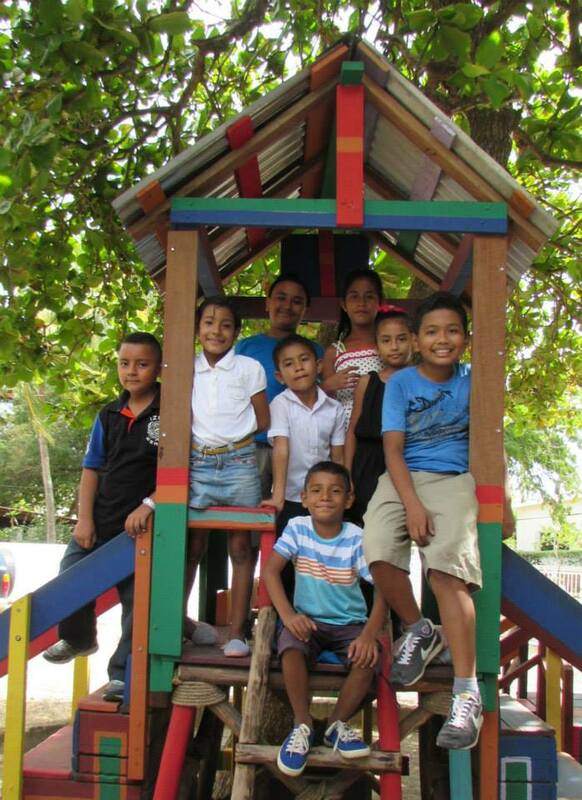 It has been a tremendous year of growth and transformations for San Juan del Sur Day School. In early 2014, Director Julie Speier planted a seed, seeking land on which to cultivate a new school campus. This call to action was answered by the generous team at Finca Las Nubes. 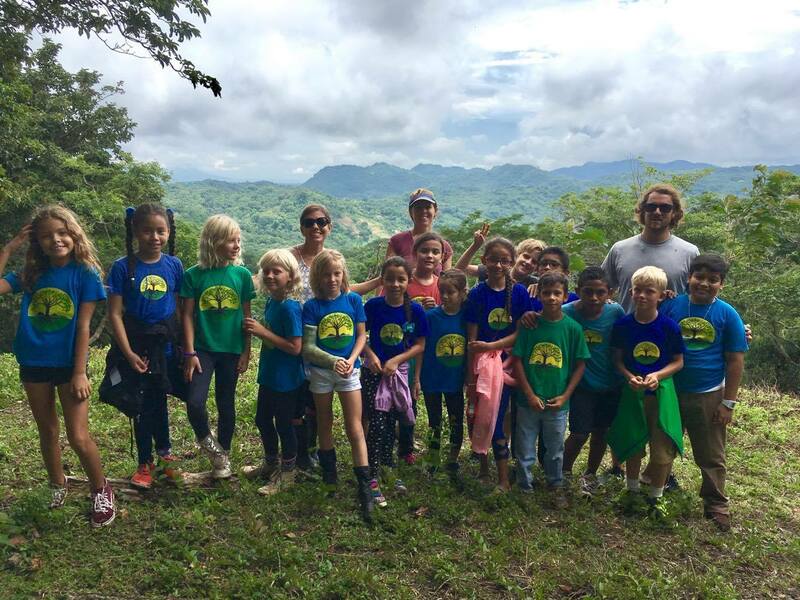 In February of 2014, the Roberston Family selflessly donated nearly 30 acres of stunning land to San Juan del Sur Day School. In March 2014, we launched a fundraising campaign to help raise money to build the school. Exactly one year later, in March 2015, Director Julie Speier and Los Rayos students hammered in the first stake of the new school, officially breaking ground and spreading roots. Throughout March and April, 2015, Chris Robertson and his fantastic construction crew worked tirelessly to dig the foundation and build walls. By the end of June 2015, the roof was on. In mid-July, the floors went in, dirt was graded for the playground, and trees were planted. On July 15, 2015, students and teachers celebrated their last day of school at the beloved Talanguera school campus. During the summer break, the FLN team and San Juan del Sur Day School teachers, staff, parents, and friends worked round the clock to nurture the school, packing, moving, prepping, and more. And on August 11, 2015, the wonderful new San Juan del Sur Day School campus at Finca las Nubes officially stretched its branches, opening its doors to greet 65 blossoming students. Please join us on this video journey of the growth of the new campus for San Juan del Sur Day School at Finca las Nubes. We invite you to visit our “Grow With Us” page to learn how you can help our students and teachers flourish. Thank you to our wonderful community of family and friends – both here and abroad – for helping us to thrive.